Little, Brown and Company, 9780316323406, 204pp. A deluxe, oversized book timed for the 150th anniversary of Abraham Lincoln's signing of the Yosemite Grant, an event that laid the groundwork for the National Parks system. Ansel Adams first visited Yosemite in 1916, at the age of fourteen, and returned every year throughout his life. It was in Yosemite that he fell in love with Western wilderness and became a photographer; he made more photographs at Yosemite than at any other place. Roughly 150 breathtaking images are exquisitely reproduced in this large-format clothbound book. There are notable portraits of El Captain (the famous rock face whose Dawn Wall was recently free-climbed for the first time), Half Dome, Cathedral Rocks, Royal Arches, and other distinctive rock formations that frame the valley; grand views in all seasons and all states of weather; intimate details of nature from the Valley floor; the waterfalls--Bridaveil, Yosemite, Vernal, Nevada; studies of trees, from the giants of the Mariposa Grove to the exquisite white blossoms of the dogwood. There are gathering and clearing storms, snow and ice, bright sunshine, and the subtle shades of dawn and dusk. The photographs have been selected and sequenced by Peter Galassi, former Chief Curator of Photography at The Museum of Modern Art, New York. 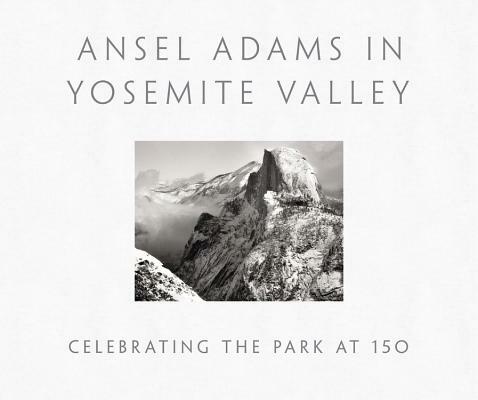 His abundantly illustrated introduction sets Adams's pictures within the rich history of imagery of Yosemite. Peter Galassi was a curator in the Department of Photography at The Museum of Modern Art, New York, for thirty years, including twenty as Chief Curator, from 1991 to 2011. He organized or co-organized more than forty exhibitions and countless collection displays at MoMA, many of which were accompanied by major publications. He was twice a fellow in the Department of European Paintings at The Metropolitan Museum of Art, and has won the Eric Mitchell Prize and the International Center of Photography award for excellence in writing. In 2012 he was awarded a Guggenheim Fellowship for a study of photography's vernacular and modernist traditions.